Before the connected home can become a reality, businesses must convince consumers to adopt the technologies that will make it possible. As the concept of the connected home becomes increasingly mainstream, changing user habits and demands that drive it are providing a significant challenge for the home gateway. Traditional gateways tend to inhibit the kind of agile service innovation that is required to deliver future services as they are hard-wired and hard-coded to support specific service offerings. However, the changing tides created by the technology that forms the basis of home gateways is undergoing a paradigm shift to tap the power of the cloud – which offers greater flexibility and functionality. Until now, every service rolled out by a service provider would be attached to a piece of hardware, built up with the memory, processing power and ports required embedded in the device. Everything had to be done and installed before the product could be rolled out, allowing for very little innovation to take place around the device following deployment. This inflexibility is quite simply unsuitable for the requirements of the modern user, whose demand for new and improved services has driven the need for cloudification. 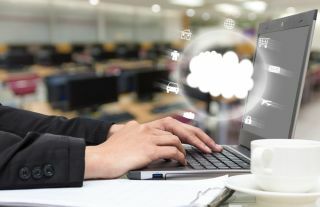 The introduction of a layer that abstracts the services from the underlying hardware - connecting the gateway to the cloud – can enable new services to downloaded and executed seamlessly. Operating in this way represents a complete about-turn in terms of the thought-process service providers must go through before deployment. Instead of having to develop everything upfront so that a new product is complete, a platform can be launched as soon as it is capable of downloading and executing the functions stored in the cloud. The subsequent new and upgraded services can be created dynamically long after the device is deployed and installed in the home, presenting service providers with an almost unlimited portfolio of services that can be created and rolled out using the processing power and storage capacity of the cloud. These changes do, however, require a tweaking of who and what a “service provider” is considered to be. Once these new platforms are introduced, a shift will occur away from the traditional telcos and cable providers, opening up the market to those who can utilize this open gateway vision as a way to offer next-generation services to the home. At Technicolor, for example, there is a close working relationship with Amazon Web Services (AWS), where the functions used to communicate with its cloud infrastructure are based within its Greengrass software, which can be loaded on to an open gateway. This also gives access to the AWS Lambda developer community, which enables code to be run without provisioning or managing servers. As AWS is so strong in the market there are many developers creating content for that infrastructure and those same developers can bring services onto the platform. By operating in this manner, gateways should be able to comfortably deliver Wi-Fi at speeds of 10 gigabits per second across the entirety of the in-home network, using remotely deployed extenders to ensure that every area of the home to be connected. In Technicolor’s case, working with AWS also means that voice infrastructure can be leveraged through its Alexa platform. Innovations like this will be key to the success of this new-age gateway, ensuring that – from an OpEx perspective - the cost of deployment is kept as low as possible by making it easy for the consumer to self-install. The whole concept of a customer contact center is sluggish and outdated, but if the service provider knows what is going on and can triage any problems before they reach that stage, the customer contact moves from being a problem call to a solution call. This can be crucial for potential vertical applications of the gateway, such as for the medical industry. Imagine that a healthcare provider can deploy sensors within the home of an elderly or chronically ill patient, embedded within devices they regularly use. By combining this data with that acquired through connected medical devices such as blood pressure and oxygen meters, a picture is built up of the patient’s activity at home, making it easier to establish patterns and take action if something out of the ordinary occurs. This whole concept is a big change from what is instinctively a very proprietary approach to gateway management and requires a shift in thinking from service providers if they are going to make the most of the opportunities presented by open gateways. Every time a new disruptive way of doing things emerges, there is always an internal process to go from understanding, to wanting, to doing. We as an industry cannot simply push technology for technology’s sake – we must operate at the intersection of the business problem and the technical solution. Service providers are at different stages of their development process, but are acknowledging that an open gateway solution can solve their own individual business pressure points. If we understand what is causing business problems for customers, we can find the technology solution that can make their lives better. In our experience, the prime example of such a problem in the connected home scenario is the challenges presented by poor Wi-Fi throughput, coverage and quality of experience within the network. The pure technological solution is to add another hardware product – for example, an extender or repeater – but this is a short-term fix, even if paired with cloud analytics that can give a better picture as to what is going on. The real value in the open gateway is the services that can be introduced beyond this basic solution, augmenting customers’ existing offerings by introducing upgrades that leverage the potential of the cloud. Whether it’s an application running on a gateway deployed by a service provider, or a custom-built device for a complete portfolio of services that is more suitable for a vertical market, the fundamental principle must remain the same – identify the pain points in everyday situations and provide a solution which will make consumers’ lives better.